From Website & Domains Tab click Add Database Button. Database name: type your unique database name. 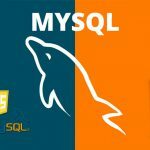 Database server : for MySQL Server select MySQL from drop down list. Related site: choose the domain that your database related to,it can be also any subdomains you have in your hosting account too. Create a database user:Tick to create the database user immediately . Database user name:type unique database username. New password: type strong password. Confirm password:Re-type the new password. User has access to all databases within the selected subscription :if you enable this option this will allow the current new user to access all database related to your subscription. Allow local connections only. Select to allow access from all Plesk’s IP addresses. These include the localhost and all other IP addresses used by Plesk. 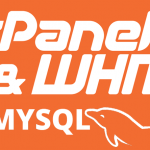 Click Ok button to create the new MySQL database and the new user. Database server : Select MS SQL from drop down list. Related site: choose the domain that your database related to. Click Databases Tab , you will see the list of your databases including “MySQL or MS SQL” database engines. Select your database you want to remove and Click Remove Database. MS SQL, MySQL, Plesk. Bookmark.